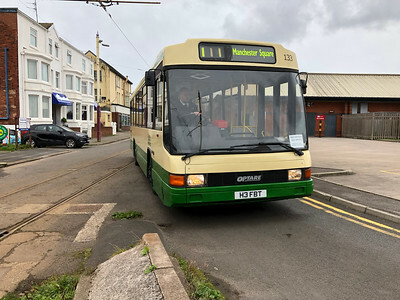 A Marshall bodied Swift in Blackpool running a heritage bus service during the 133rd Blackpool transport anniversary weekend. May 2018. 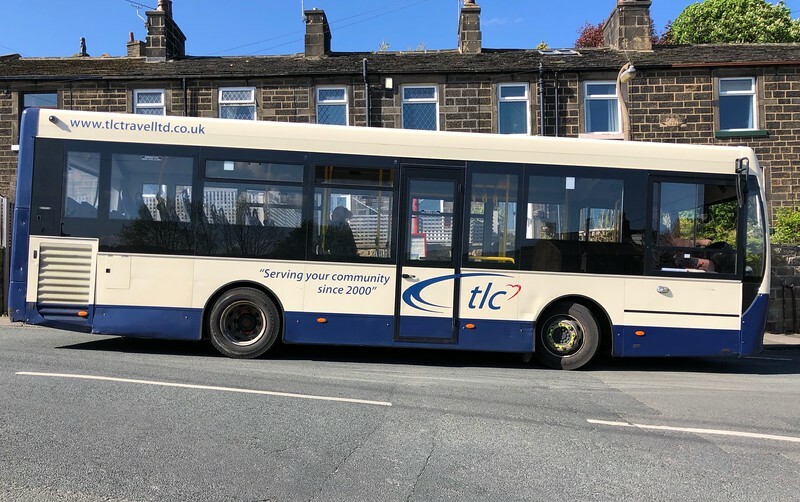 The tlc company has had the contract for the 708 circular between Keighley and Riddlesden for a few years but is about to lose it to Transdev (aka The Keighley Bus Company). Thought I'd photograph one before they disappear. 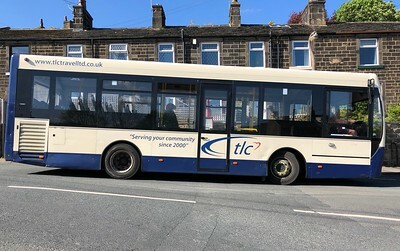 The bus is an Alexander Dennis Enviro 200 – notable in my experience for being very rattly and crashy and not comfortable. 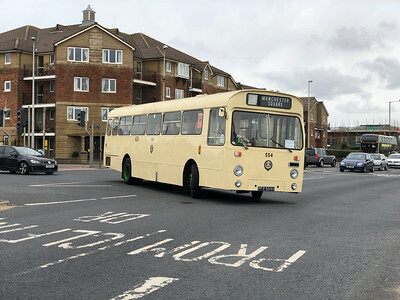 Transdev has bought a fleet of Mercedes minibuses to replace them. 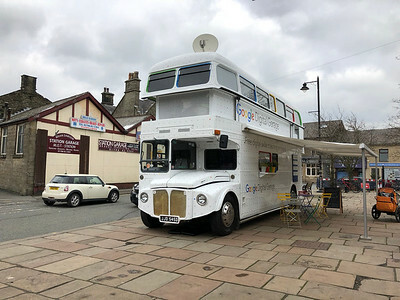 Seen at Ramsbottom Railway Station (East Lancs Railway) promoting Googleservices. 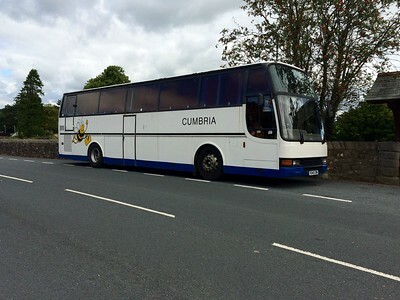 Note the hydraulic lifting roof. 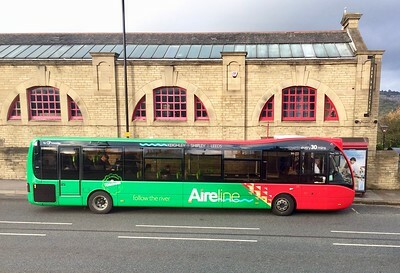 Keighley's new Optare buses for the Leeds 'Aireline' route 60 (formerly the 760). Introduced 2017. 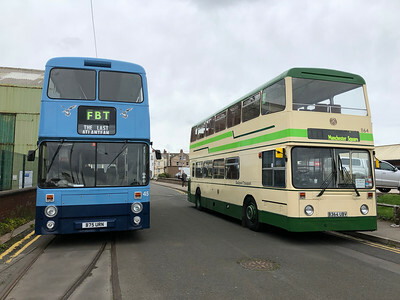 The livery is a bit 'Christmas' for my taste. All red or all green would have been better. 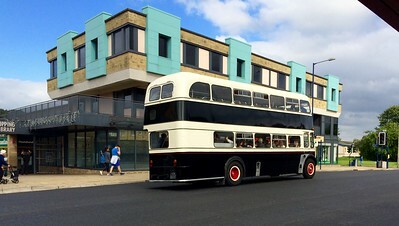 The Harrogate bus company runs a very regular service between Leeds and Ripon known as the 36. 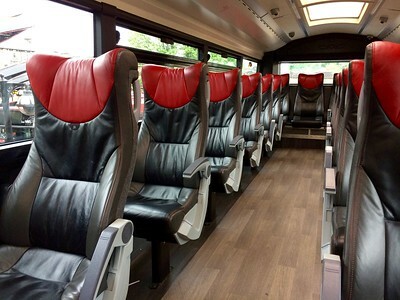 Upstairs, seating is rather luxurious, and the single row on one side means lone travellers have the pleasure of sitting alone, guaranteed! 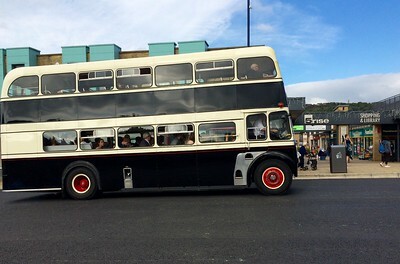 The full-length glass roof is another nice feature, as are the pull down tables on seat backs. Downstairs is much more mundane. 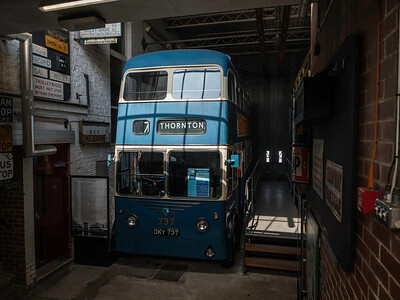 In Bradford livery. 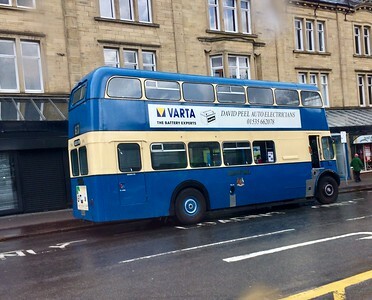 Seen at Keighley. 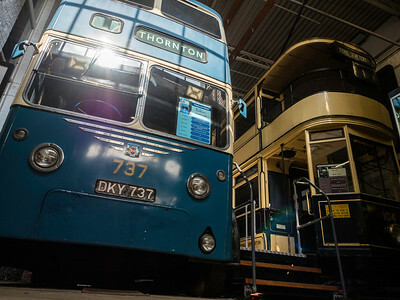 At the Bradford Industrial Museum. 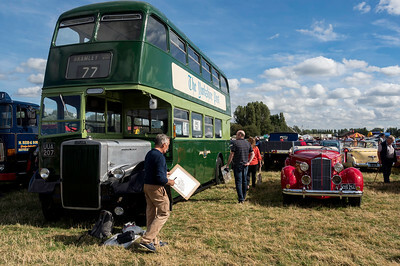 It's a 1946 Karrier 'K' with 'utility' body. 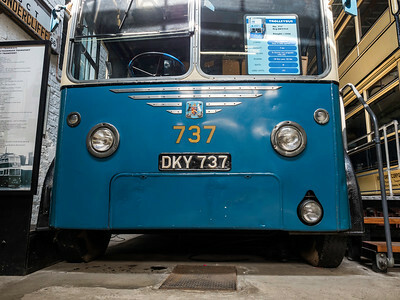 Used right up until the end of trolleybus operation in Bradford in 1972. 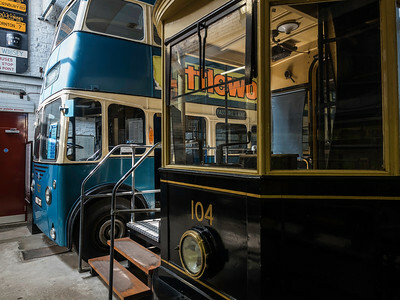 There are many more Bradford trolleybuses in my Sandtoft Trolleybus Museum gallery: Home>Trains, Trams and Buses>Sandtoft and in my Keighley Bus Museum gallery too.